The purpose of HIPAA is to combat health insurance fraud, improve access of long-term care and coverage, and to simplify the administration of health insurance. …improve portability and continuity of health insurance coverage…combat waste, fraud, and abuse in health insurance and health care delivery… promote the use of medical savings accounts…improve access to long-term care and coverage….simplify the administration of health insurance and other purposes. 8. Requirements that employers revise their documents related to, and change their administration of, certain aspects of the benefits mandated by the Consolidated Omnibus Budget Reconciliation Act of 1985 (COBRA). HIPAA research studies note that HIPAA also makes major changes in long-term care (LTC) coverage, excluding such coverage from cafeteria type benefit plans, and designating some LTC policies as "qualified," a designation that carries substantial tax benefits for both insurers and beneficiaries. From the foregoing it will be clear that HIPAA, when viewed from the perspective of human resources management, should be considered to be a major piece of legislation, one that imposes new burdens on benefit management but which also makes it easier for companies to find health insurance plans that will cover their workers. 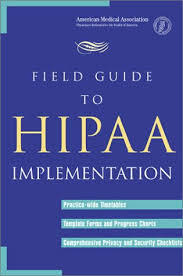 Meeting the requirements imposed by HIPAA, however, involves a fair degree of complexity. The truth of this is amply attested to by the fact that a cottage industry has grown up on the internet with companies offering advice on HIPAA related issues. Paper Masters writes custom research papers on HIPAA or the Health Insurance Portability and Accountability Act and are written for Business and Health college classes.